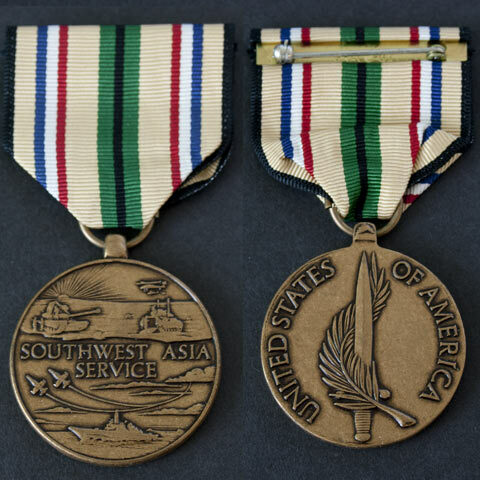 The Southwest Asia Service Medal is a military award of the United States armed forces created by order of President George H.W. Bush. Recipients of the Southwest Asia Service Medal must have served in support of Operation Desert Shield or Desert Storm, between 2 August 1990 and 30 November 1995. 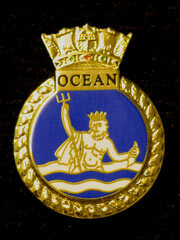 Medal Originality is unconfirmed, but the pin is stamped DRACO-GI.